Granted that when I was fresh out of college, staying at luxury hotels when travelling might not be possible at all. But staying at luxury hotels is one of my ‘hobby’, and it is probably the one travel expense or any leisure expense I spend most on in a single year. Since I enjoy architecture, good design and food, they are 3 of the main drivers for staying in a luxury hotel. There are though certain limits I would set even when choosing a luxury hotel and some of the ways to offset the high costs are through points-earning hotel chains like SPG and Hyatt as well as through promotions. I would start off by explaining how certain luxury hotels can actually be attainable by being loyal to a particular brand of hotel. For starters, I find Starwood Preferred Guest (SPG) and Hyatt Gold Passport to have the better luxury hotels and they have a wide range of mid-range hotels that provides good value too to collect points and stay credits. The luxury properties under the SPG group are classified under the St Regis and Luxury Collection umbrella, though certain W Hotels, Le Meridien and Westins can be classified as such. My most memorable hotel stays includes the St Regis in Osaka and Singapore, the LC hotels of Keraton at The Plaza, The Laguna Bali, The Nines Portland and the W Hotel in Hong Kong. What makes staying at the SPG hotels so attractive is that being a Platinum member, I can get access to bonus points, breakfast, late check-out and multiple promotions throughout the year that makes the program valuable. Personally I find SPG Platinum to be the most generous amongst hotel programs that makes even making the required 25 stays in a year quite worth it. The most valuable aspect though is the fact that my SPG points can be converted to many different airline programs and a 20,000 points conversion nets a total of 25,000 airline miles in most programs. I have converted these points to Asia Miles (Cathay Pacific), Aeroplan and US Airways that I have used for upgrades and redemptions for Business and First Class flights. One promotion that is sorely missed are those ‘Free Nights’ promotion where staying twice at SPG hotels grants one free nights at resorts. I have used them for a free night at the W South Beach which was another luxury Miami-based property. Though today, it is easy to find promotions for double points and triple points as well as bonus points for ‘checking-in’ at hotels using social media platforms or for booking hotels using the SPG app on smartphones. All these little promotions add up to allow members to build a healthy balance of points when they stay loyal to SPG hotels and it works since they are one of the first hotel chains I will go to for booking hotel stays. Late check-out up till 4 p.m.
Hyatt has probably my most favourite hotel chain since Park Hyatts are one hotel chain I might travel out of the way to visit. Having stayed at Park Hyatt in Tokyo, Seoul, Shanghai, Melbourne and the Maldives, they are all memorable and some even borderline spectacular. They are also the main rationale for collecting Hyatt GP points. A night at Park Hyatt in most cities would need 22,000 GP points and they are that worth it as I have redeemed for free nights at the Park Hyatt in Tokyo and Shanghai. In addition to the Park Hyatt branded hotels, the group also includes several high quality hotels in key cities around Asia. And the hotel does have very good mid-priced options like the Hyatt Regency which I think are usually better than most Sheratons. Lastly, Hyatt has recently made some tie-ups with MGM’s M life program and that means more benefits and opportunities to earn miles and points while in Las Vegas. Guaranteed availability of room when booked within 48-hour Late check-out until 4:00 p.m. If you do notice, both Hyatt and Starwood Hotels have some very good luxury properties that one can hopefully attain after accumulating enough points. In addition, both programs provide complimentary breakfast for their highest-tier guests along with internet which does add up especially when staying at luxury hotels. 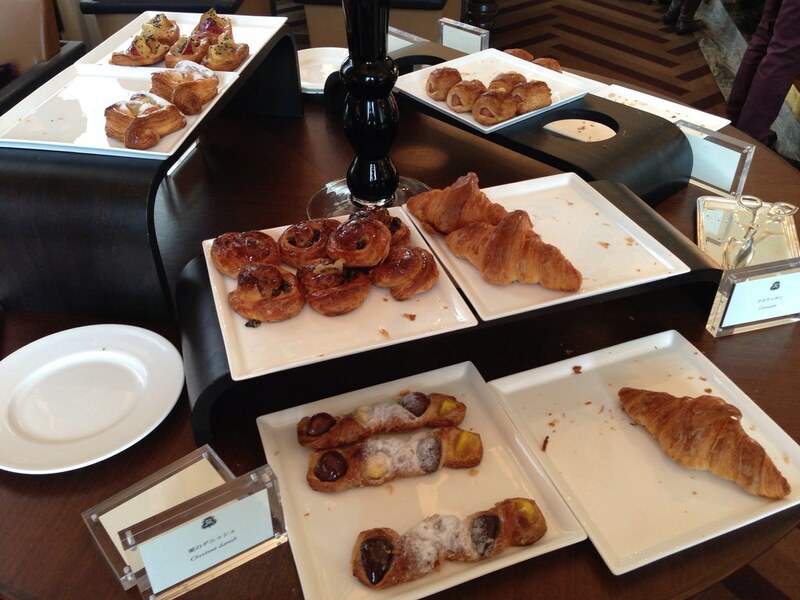 In fact some breakfast I had in luxury hotels are very much worth it even if I were to pay for them. This is because some luxury hotels provide an a-la-carte menu where one can order dishes in addition to the buffet. 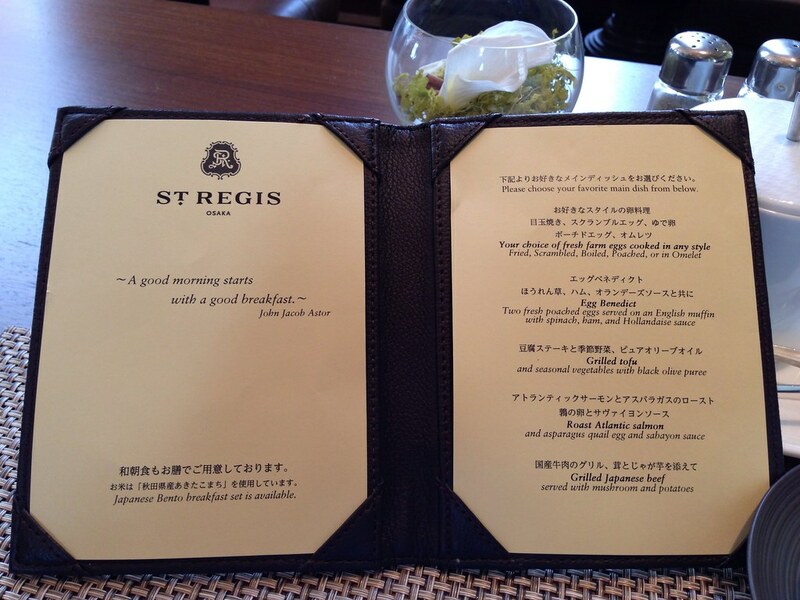 For example the St Regis Osaka has a menu that included grilled Japanese beef, salmon or a Japanese bento set in addition to being able to enjoy my favourite chestnut danish! Then there is breakfast at the Park Hyatt Shanghai which allows me to dine amongst the clouds and they have packets of nutella to go with fresh crepes made to order. And there is the a-la-carte breakfast menu at the Andaz San Diego, served on the rooftop terrace with a view of downtown San Diego. The view and the quality of food are all extra perks of having breakfast in luxury hotels. Luxury hotels generally create a feeling of ‘home’. This feeling is generally stronger in boutique properties and some of the best ones I stayed includes St Regis in Singapore, Keraton at the Plaza in Jakarta along with the Park Hyatt in Seoul and Tokyo. These properties are usually situated in the wonderful locations yet with a discreet entrance and access area. They are not large hotels with huge public lobbies, and feature check-in areas that allows one to be seated or conducted in the room. And luxury hotels feature familiar amenities like shoe horns, complimentary bottled water, slippers and many other extras. For example the Park Hyatt Seoul has one of my favourite room interior design that is spacious and yet cosy at the same time, and features jars of snacks that are replenished daily for guests’ consumption. Many luxury hotels today also feature Nespresso coffee machines that I am familiar with and that makes it so much easier to wake up in the morning! 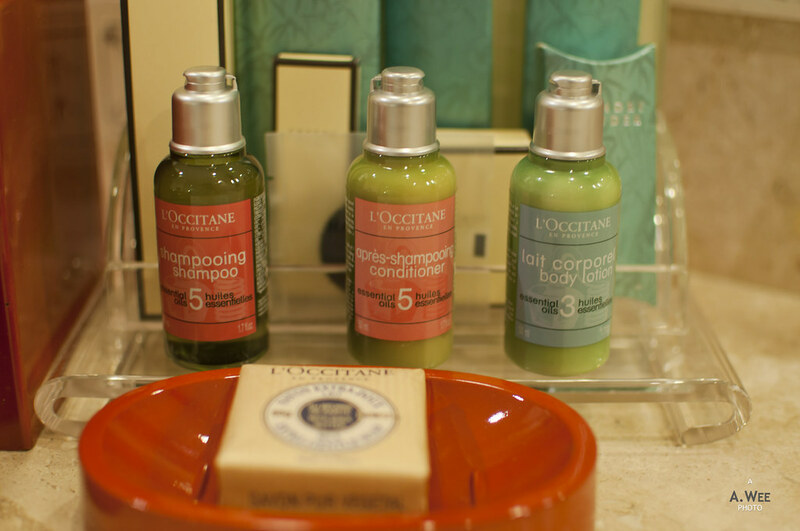 Bathroom amenities in luxury hotels are also worth keeping, since they have a nice scent and are very nice to use most of the time. A friend once spoke highly of the Aésop amenities used in Park Hyatt Seoul and Tokyo, and the interesting part is they sometimes even have a choice of amenities. Conrad hotels (part of the Hilton group) allows guests 3 types of amenities to choose from, while Park Hyatt Tokyo will provide Japanese branded toiletries by Shiseido and Kao for Asian guests who prefer them to Aésop. Being able to feel at home while exploring a new city or destination is perhaps one of the ultimate luxuries in life. The best luxury hotels bring this one step further with amenities such as a pillow menu featuring hypo-allergenic models, Tempur-branded pillows and even local pillows made of buckwheat. After all luxury hotels should make you feel at home as their ads say it all the time, and what better way than giving a night’s sleep like that on your own bed or even better? Many city hotels have club lounges or ‘executive floor’ lounges and most top tier hotel memberships allows confirmed access to these lounges even when one books the base prices for room. Generally these are a $30-50 benefit per night since that is usually the price difference between base level rooms and club-level rooms. Usually these rooms are good value as they include breakfast for room occupants, internet access and happy hour cocktails. Rooms are also located on higher floors with generally better views over the city and usually kept tidier and furnished with nicer-looking tables and chairs. 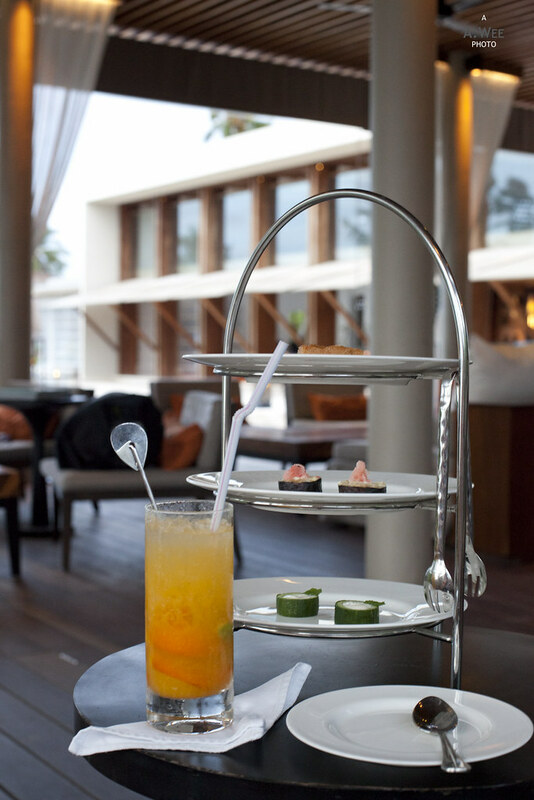 Luxury hotels might not always have a club lounge, like many Park Hyatt and St Regis properties, but I find they usually provide free drinks and snacks on their bar or poolside restaurant which can provide a relaxing space to unwind before dinner. As a Hyatt Diamond member, I have had the pleasure to have white wine or beer at the New York Bar in Park Hyatt Tokyo while soaking in the sunset over the city. Some properties like the Park Hyatt Maldives provides a 3-tier canape selection along with champagne as I lounge by the beach to savour the sunset. These small little details enhance your stay in the city or leisure destination and create everlasting memories. And it creates a sanctuary where guests can unwind and take a break after a day of sightseeing and activities. In addition to food and beverages, luxury hotels have many spaces for one to explore. Some hold curated works of art, some have excellent swimming pools and gyms while there are again some with wonderful restaurants. The Club on the Park at the Park Hyatt Tokyo is one of the best spa I have ever seen in a city hotel, and I have also had the pleasure of running on a treadmill with a view over skyscrapers at the W Hong Kong. Many of these are some of the reasons why I would want to pay for stays in hotel chains managed by Hyatt and Starwood Hotels & Resorts. These hotels reward guests with some sort of benefits and as a preferred member who stays often, they offer a lot more than the usual hotel. These range from complimentary breakfast to club access to even understanding your preference for local and international newspapers. Sometimes these benefits even make it worthwhile to ensure you get the minimum stays necessary to maintain your status with the hotel chain! The primary benefit of staying in a luxury hotel would have to be their exceptional service. The best staff actually anticipate needs, not just respond to them. Anticipating needs might be nice, but not many hotel staff can do that without bordering on stalking a guest. A more practical approach is to have great amenities and helpful staff that can assist.